The Academy for Islam in Research and Society (AIWG) is a university platform for research and communication on Islamic-theological specialist questions and social issues. It facilitates supra-regional collaborations and interaction amongst researchers in Islamic-Theological Studies and neighbouring subjects as well as with actors in Muslim civil society and other sectors of society. Research: The AIWG seeks to help consolidate Islamic-Theological Studies in the German academic system. For this purpose, it facilitates cross-locational, interdisciplinary cooperation on research. Interaction: The AIWG strives to intensify interaction between Islamic-Theological Studies, Muslim civil society and other sectors of society. It seeks to develop solutions by incorporating different perspectives on social issues. Facts: The AIWG seeks to set public discourse on Islam on a factual basis by publishing expert opinions and providing experts on Islam-related topics. 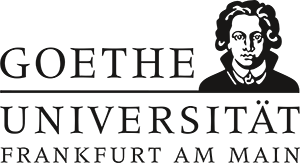 The AIWG Office is located at Goethe University Frankfurt. Its central decision-making body is the Academy Board on which the cooperating university institutions for Islamic-Theological Studies in Germany are represented. The Academy Board also includes members from other disciplines as well as experts from Muslim civil society. The Academy Council comprises representatives of the Federal Ministry of Education and Research (BMBF), the Mercator Foundation and Goethe University Frankfurt. 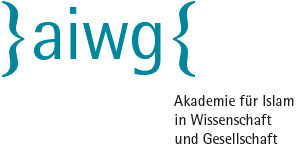 Until 2022, the AIWG will be funded by the Federal Ministry of Education and Research (BMBF) and the Mercator Foundation. The BMBF provides the Academy with up to 8.5 million euros for its research formats. The Mercator Foundation funds the Academy’s communication formats to the tune of up to 2.8 million euros.